Have you ever felt conscious about a certain part of your body ? Do you really avoid getting dressed up because you feel what you like to wear might not suit you? Due to weight gain, clothes you bought recently don't fit you any more? I know I have been tackling these questions for a while now. We all face these body image issues. I admit I face these every now and then. Yes trust me these are the issues which most of us face and I wouldn't be wrong if I said even ladies who have perfect figure are still self critical about themselves and are in similar situations. Even super models aren't immune to the pressure of looking perfect. Its important to stay healthy, be fit and loose/gain that extra weight but what is even more important is, not to let your self down just because someone said Size X is in trend now. With my food habits and love for eating junk I should be the last person advising someone on health and fitness but what i can proudly say is that everyone should Celebrate their Size. I am a size 8. I wear M, L or even XL depending on the brands. There was a phase when I tried on the kind of clothes that I used to really like wearing but with all the extra weight they didn't look appropriate anymore. So I stopped shopping for a while and started dressing down. I would be lying if I said it didn't affect my confidence, it did. 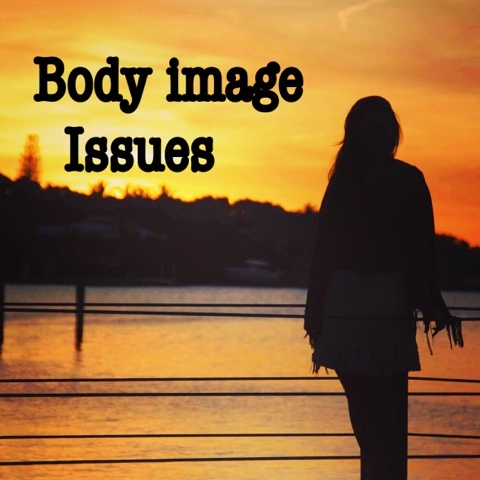 Body Image issues can sometimes cause a permanent damage on your self esteem. Someone then put in some sense into me and made me realize that size should not be a deciding factor of looking good. I accepted my body image issues and learnt that I just had to change the way I styled my clothes. I took the advice and started concentrating on parts of my body which I felt really great about for me its my waist line. And concentrated even more on problem area, for me its my thunder thighs and hips. The Magic trick is- Highlight your Best features and Hide your Worst ! This is the most effective trick that will help you dress better and feel good about yourself. No two people have the same body types, same fashion sense nor same lifestyle. So what looks good on you might not work for me, for that reason alone I cant really sulk right?? Everyone at least once in a life time might have gotten serious doubts about self image. I really agree with the fact that we should love ourselves. All the damn time - but then I made peace with what I was and life got a whole lot less painful. Now I'm in better shape because I calmly and patiently worked at it and wanted to and not because of anyone else. And I'm happier for it.